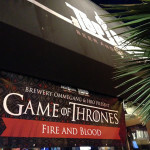 It’s no fun waiting until July to cover outside events, so when I saw that HBO and Brewery Ommegang were hosting a party in San Diego to celebrate the release of their new Game of Thrones themed beer, I jumped at the chance to attend. 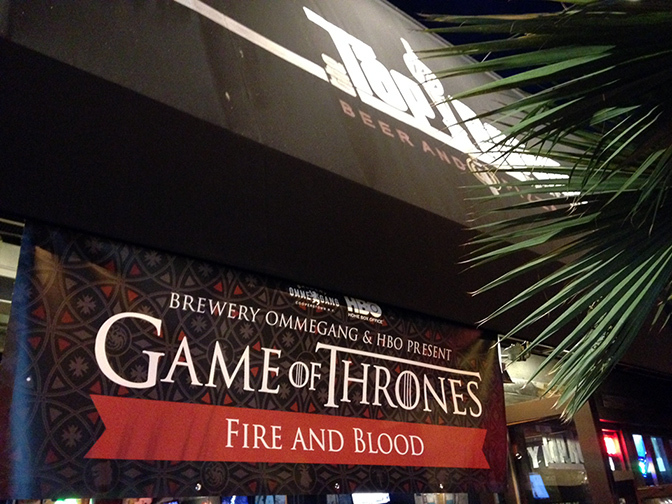 Held at the Tap Room in Pacific Beach, the release of Ommegang’s “Fire and Blood Red Ale” sold out within a few days of being announced. 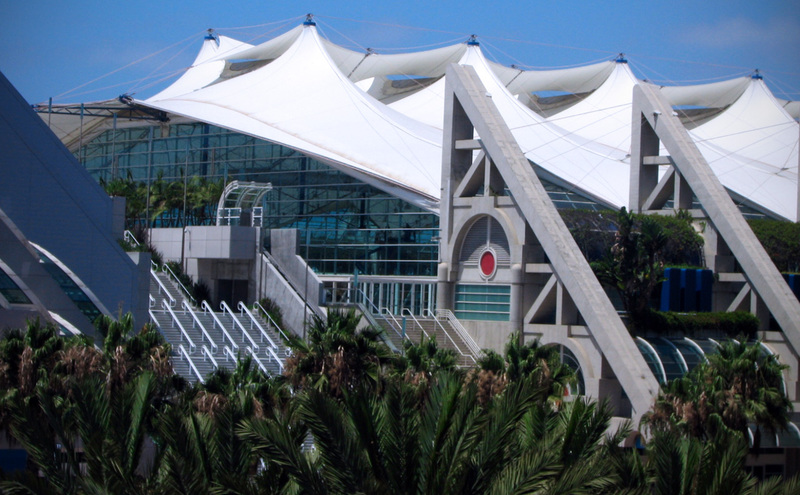 The event drew in a large crowd of Game of Thrones fans, as well as beer aficionados. Concurrent events were held in several cities this week (as announced on Ommegang’s Facebook page) with many a beer celebration taking place around the country. Just, hopefully, none of the Red Wedding variety. 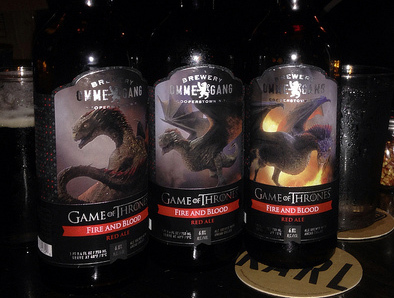 Game of Thrones-themed food was available at the Tap Room. I paired my Red Ale with the White Walker pizza (mozarella, ricotta, parmesan, roasted garlic), and it was fantastic. A John Snow and Daenerys Targaryen were also on hand to assist with goodie bag distribution and a prize drawing. Several people won Season 3 on blu-ray, while one lucky person walked away with a large canvas print of the Fire and Blood bottle label (featuring Drogon). 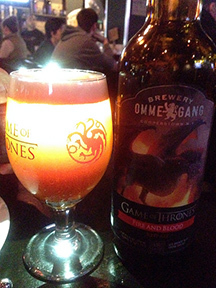 Are you looking forward to tasting any of Ommegang’s Game of Thones beers in the future? Leave a note in the comments!